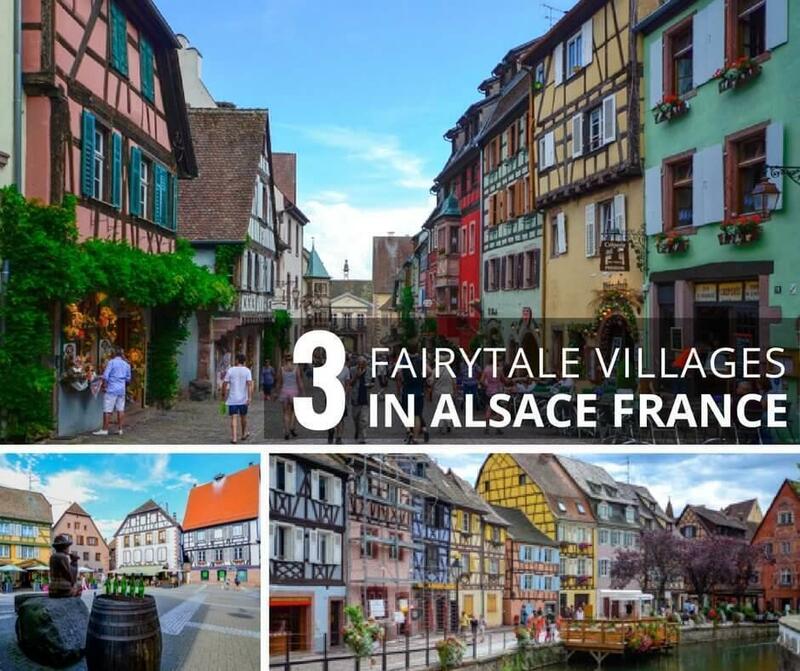 Adi shares three lovely, fairytale Alsace villages that are some of the most beautiful places in France. 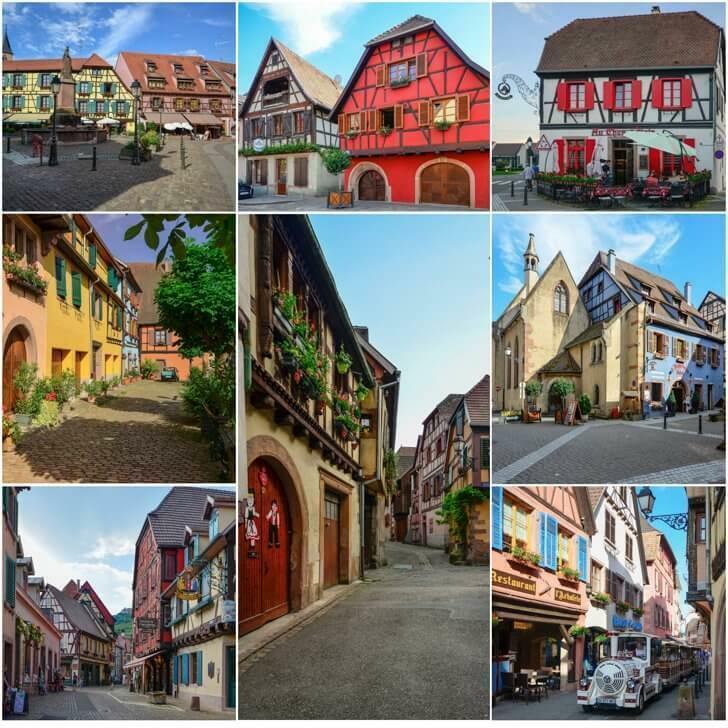 Take a trip on the Alsace wine route to these timber-framed, colourful, beautiful French villages. Alsace, part of the new French region, Grand Est, is a cultural and historical area of Eastern France. It borders Germany and Switzerland and has alternated between German and French control over the centuries. The result reflects an incredible mix of both cultures. 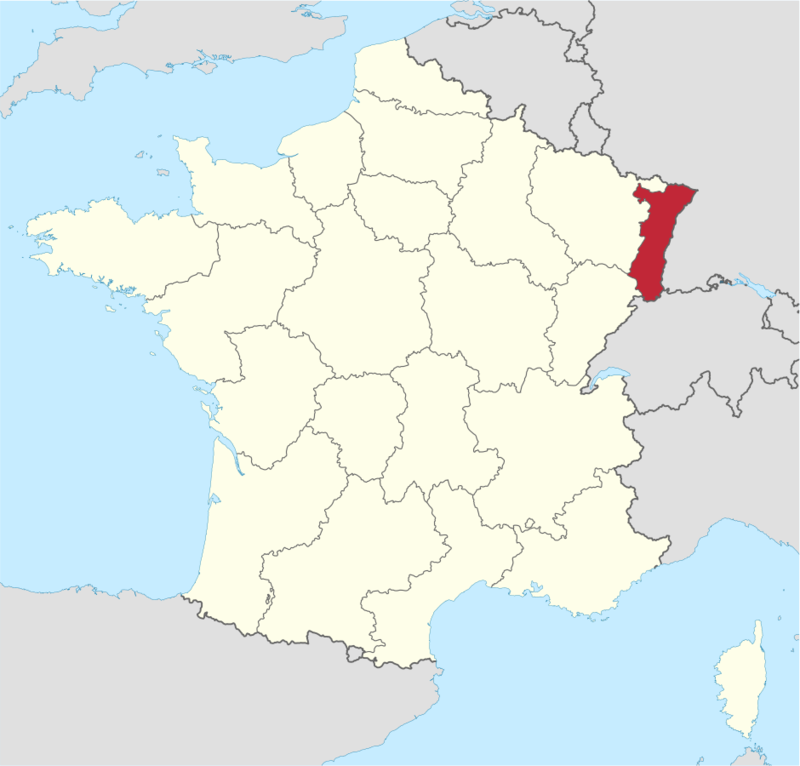 This north-eastern corner of France is also home to the Alsace wine region, well-known for the Alsace Wine Route that spans over 170km. 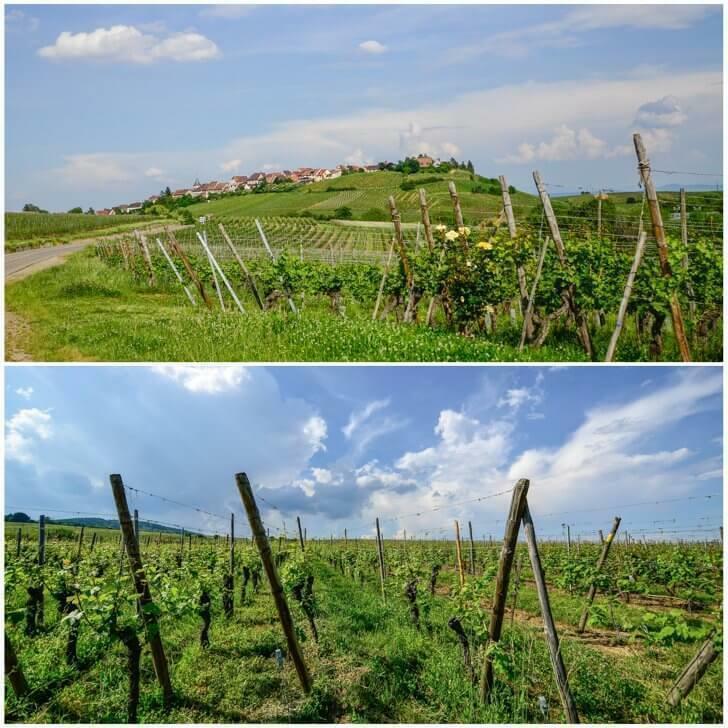 On the route, you will encounter typical Alsatian villages, hilly landscapes planted with vines, medieval castles, and wine-growers – guardians of centuries-old traditions – where you can taste and buy wines for all tastes and wallets. If you plan to visit Alsace, be sure to order your Pass-Alsace to receive free admission to 56 attractions in the region. You can visit castles, nature parks, museums, and much more. The pass is available in print and digital forms and the accompanying app will help keep you from getting lost on your travels. 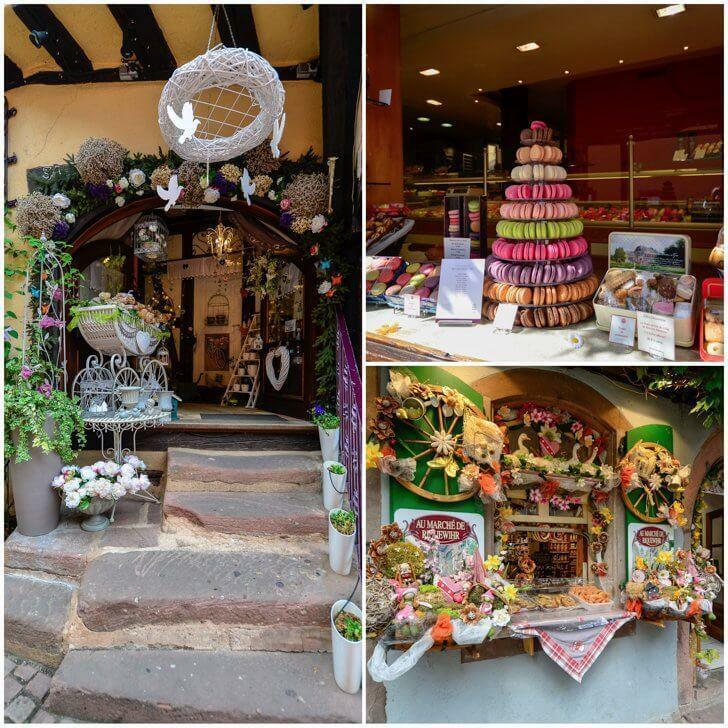 Out of all the villages and towns in the Alsace region, I had my eye set on three of particular beauty and fairytale-like character. Colmar, France is a remarkably well-preserved medieval city and a town with undeniable charm due to its colourful half-timbered houses, its canals, and the famous “Petite Venice” area. Beautiful, flowing flower arrangements decorate the town giving it an enchanted feel. 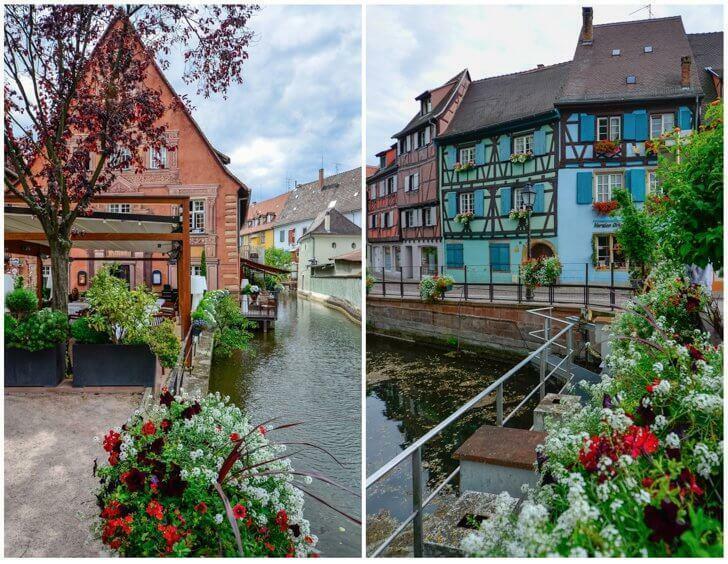 There are plenty of things to do in Colmar, France including admiring the colourful buildings. 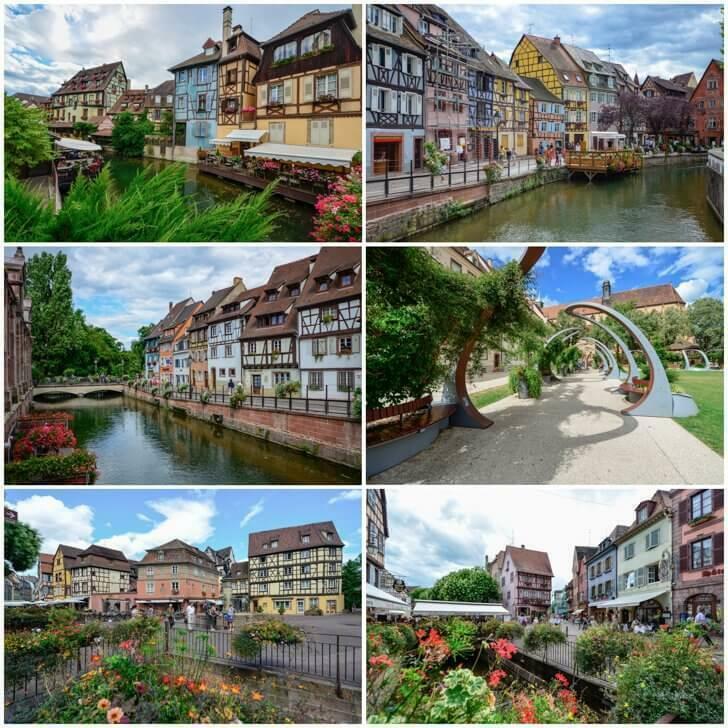 It’s easy to see it’s one of the most beautiful places in Alsace. 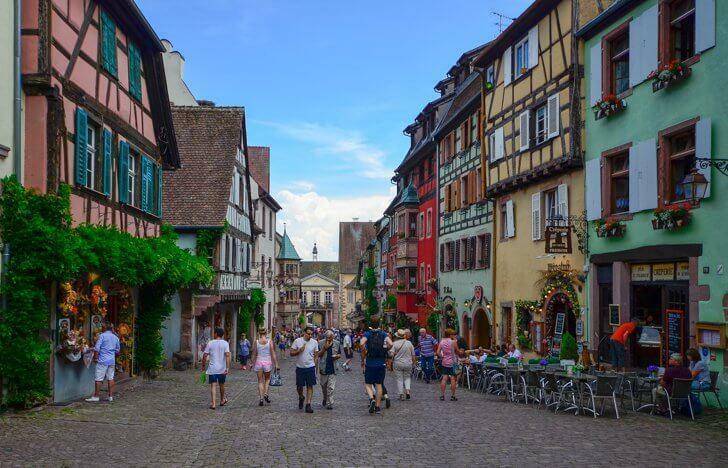 We travelled to Colmar last year, on a gorgeous summer day. The town does get a lot of tourists during the summer. 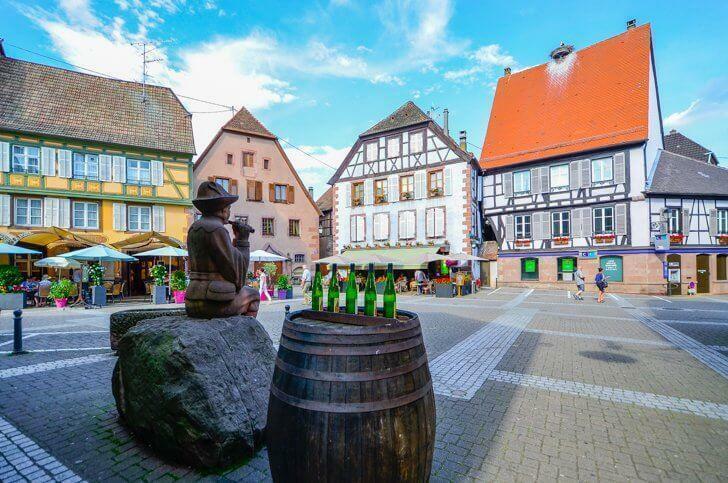 They flock here to admire its beauty, to try its wines and beers, and gorge on homemade tarte flambé – a traditional Alsatian pizza-like dish, made of a very thin, crunchy crust covered in melted cheese, caramelised onions and smoked ham. 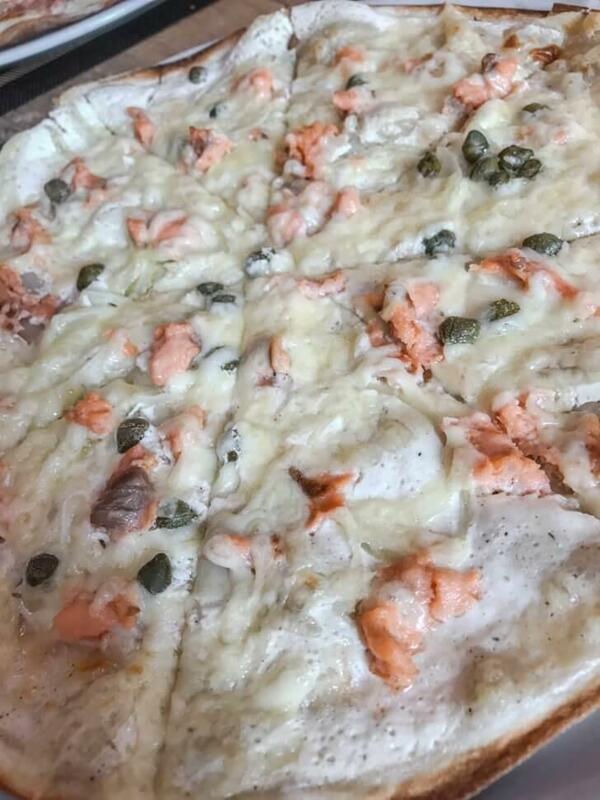 Of course, there are also variations, one of my favourite being smoked salmon. 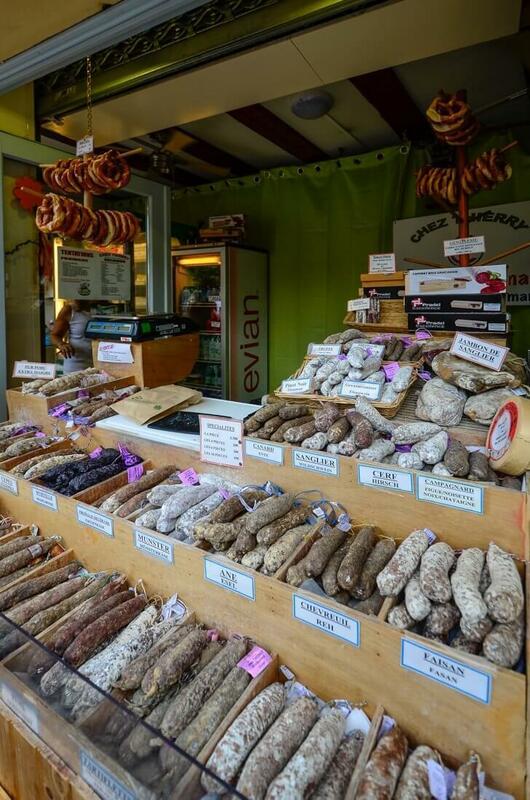 One of the top things to do in Colmar, especially if you are a foodie, is visit the covered market. The metal-framed, brick building dates from 1865. It had several functions until it returned to its original purpose of covered market, in September 2010. Stalls here sell high-quality, local products: fruits and vegetables, butchery, charcuterie, dairy, bakery, fish, and other terroir products. 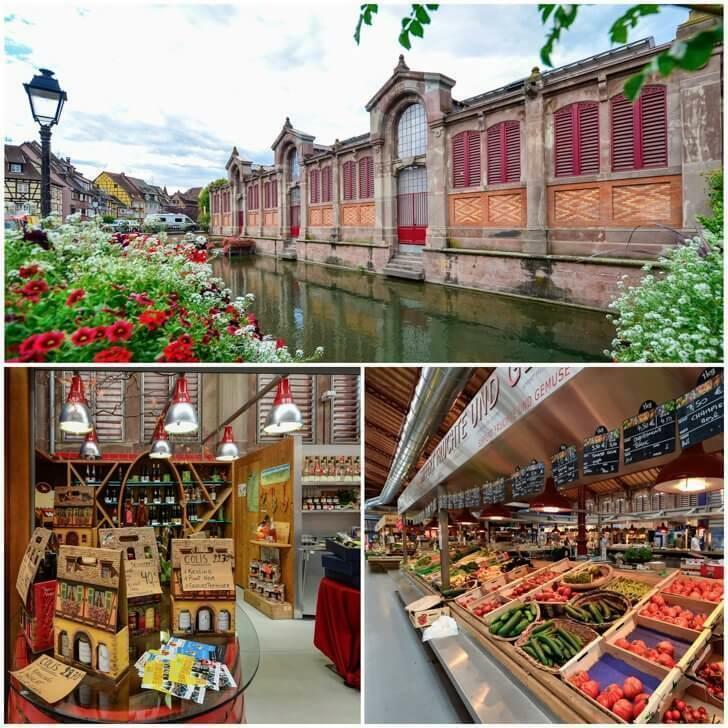 The covered market makes Colmar France one of the best Alsace villages for foodies. 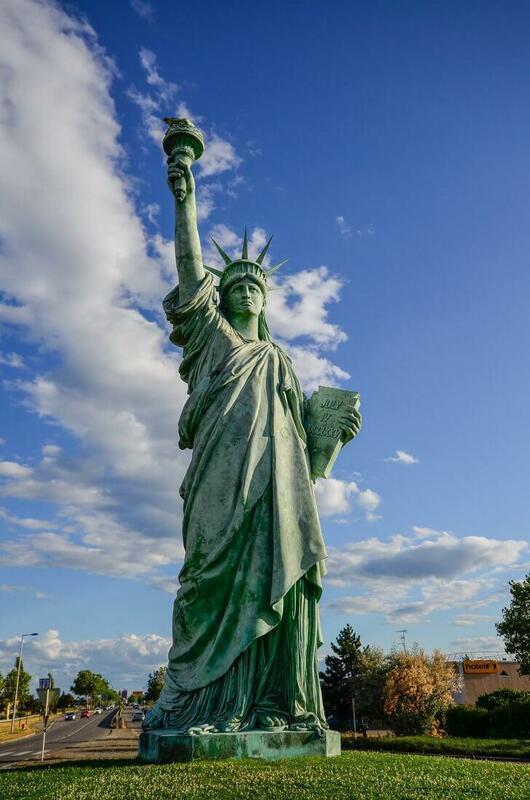 An interesting fact about Colmar is it’s the hometown of Frédéric Auguste Bartholdi, who sculpted the Statue of Liberty, standing proudly in New York harbour. You can even see a replica of Lady Liberty, just outside of town. She is the piece de resistance in an otherwise unassuming intersection. It’s worth noting that in winter, Colmar hosts a vast and beautiful Christmas market, one you’ll want to visit if are ever in the area. 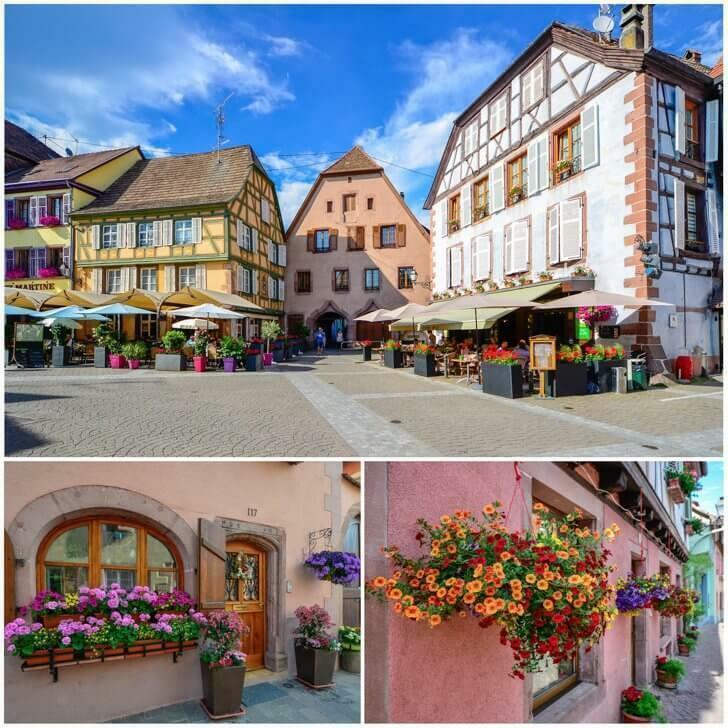 Riquewihr is a romantic medieval commune situated between the Vosges Mountains and hills blanketed by vineyards, only seven miles from Colmar. The combination of history, culture, scenery, and especially food and wine makes Riquewihr one of the most beautiful cities in Europe to visit. 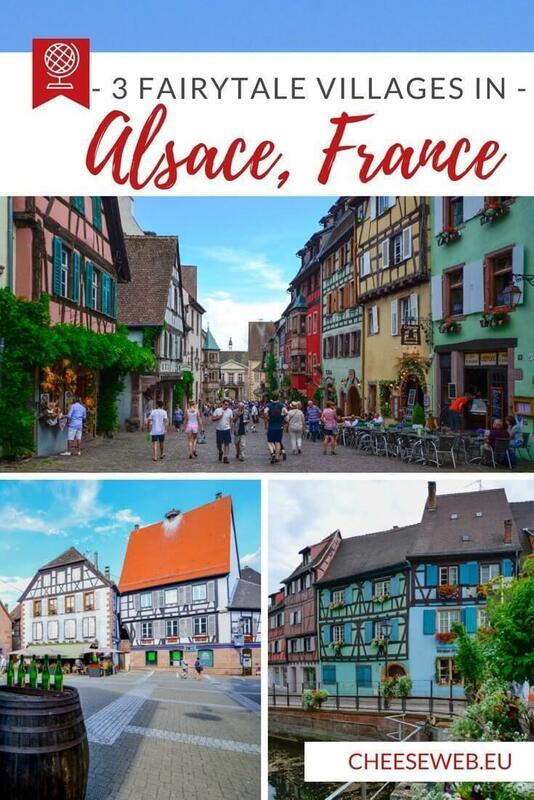 Just a few weeks ago we decided to take a day trip to Riquewihr, so with kids and dog in tow, we explored this little gem of Alsace. 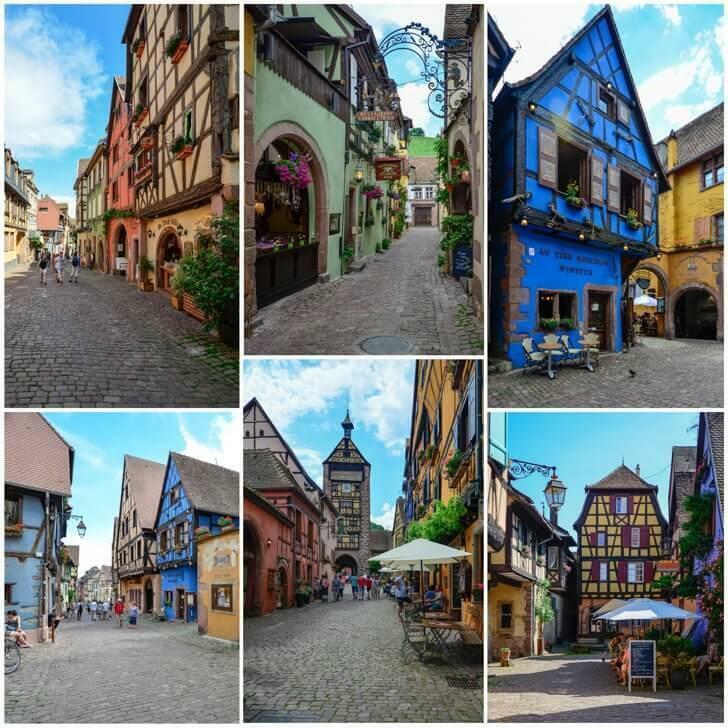 We did not visit any particular attractions as I could not peel my eyes away from the charming, narrow streets, flanked by equally charming, colourful half-timbered houses. I did not even mind the tourists; I was just grateful to be there. The specialty shops, however, were something we could not ignore. 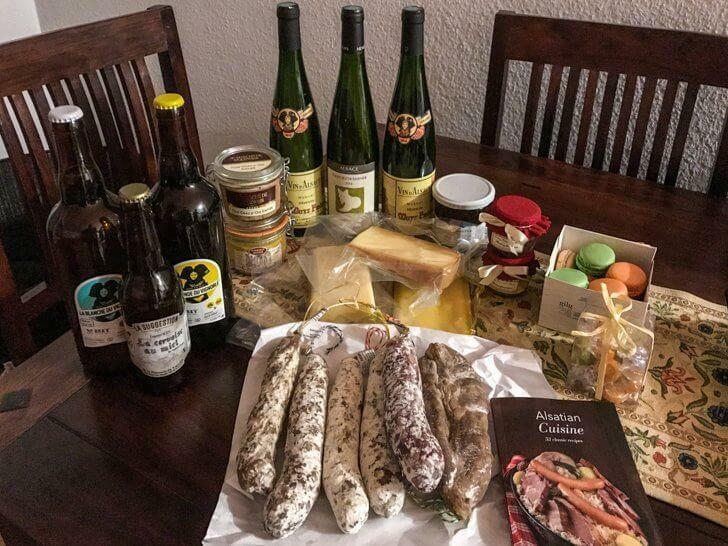 Wines, foie gras, sausages and salamis, and cheeses, delicious, heavenly cheeses, were all items on our grocery list. Do not forget to sample the Alsatian beer, as Alsace is known for having the best beer in France. After frolicking in Riquewihr half the day, we spent the other half in Ribeauvillé, another charming village, just a few miles away. In the Middle Ages, the town was the seat of the Seigneurs de Ribeaupierre (the Lords of Ribeaupierre), hence the town’s name of Ribeauvillé. The Ribeaupierres built three fortified castles, the ruins of which still dominate the village and surrounding hills to this day. Here too we wandered the little streets not worrying about a thing, just enjoying, and taking in the beauty. 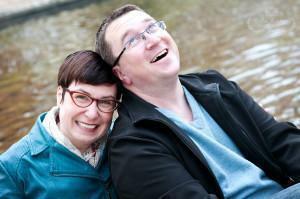 Regarding tourists, Rabeauvillé felt a lot more relaxed; many times we found ourselves wondering entirely alone. I definitely encourage you to peruse their speciality shops, just like in the previous two towns. They are beautifully decorated and sell top quality local products, perfect to enjoy on a picnic, at home, or to gift to loved ones. Most of them will offer combo deals so you can try a little bit of everything. Speaking of fairytales, one thing to observe while in Alsace and visiting Colmar, Riquewihr, and Ribeauvillé, is the storks. You can see them above the village squares, perched on the slanted rooftops in their giant nests, as well as in nearly every gift shop. These beautiful birds have returned to Alsace in the warmer months, year after year for centuries. Local legends say the stork will bring luck to a family if it builds a nest on top of their house. Today there are more than 600 stork couples in Alsace. After years of conflict and being passed between Germany and France, you may wonder why Alsatians are so friendly and happy. For the answer, you may want to look up to the storks. Travelling to Alsace region from Stuttgart, Germany is easy; around two and a half hours, without traffic. It also makes an easy weekend trip from Belgium, at about 5 hours by car. Numerous national and international airlines offer daily services to and from the Alsatian airports. Via SNCF (French railway company) as well as direct by TGV from Paris, Lille, Nantes, Bordeaux.